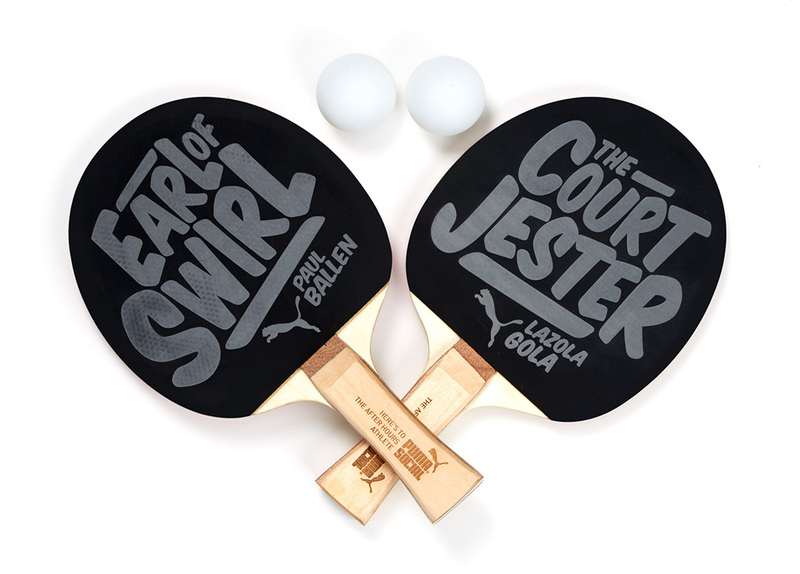 The PUMA Social Club hosted a ping-pong tournament and it was our job to get people to attend. For the tournament’s success, we needed to create a lot of hype with a small budget. Furthermore, we were targeting the student market, a market averse to traditional media. 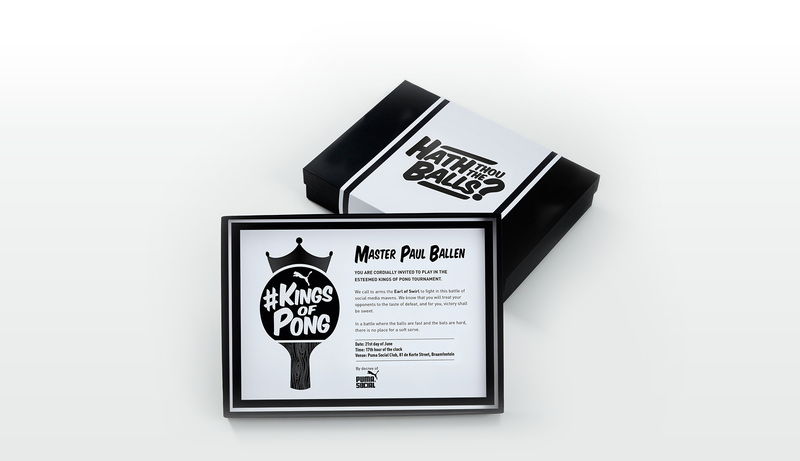 Using uniquely crafted and tailored invitations, we invited 12 relevant social influencers to an exclusive #KingsOfPong launch evening where they would battle against each other and then share their experience online. Our influencers created hype and then invited the public to join in. Playing to the #KingsOfPong theme, making use of irreverent yet “regal” language, we bestowed upon each invitee a fitting royal title such as ‘Earl of Swirl’ for renowned ice cream maker, Paul Ballen. Each influencer received a branded bat, two practice balls and a written invitation embellished with innuendo and personally tailored illustrations. By creating truly engaging invitations, our invitees received something worth keeping, as well as sharing. The resultant 100% attendance by our invited influencers led to social shares leading to approximately 64 000 followers and an even more successful PUMA Social Club, all for the price of 12 direct mailers.